The Eurovision Song Contest 2016 was filled with various shocking moments, some intended by its organizers, some spontaneous and unexpected. The hosting country definitely had some entertaining moments up their sleeves such as various interval acts showcasing the merge of traditional music and dance combined with modern interpretation and technology, or the pre-recorded sequence giving a humorous looking into the life of the Portuguese. Here are some of the most shocking moments from this year's show. Within the past two years, Russia has been making headlines. Last year due to the withdrawal from the contest and this year failing to qualify to the grand final. In 2017, Julia Samoylova was selected to represent Russia at the Eurovision Song Contest in Ukraine but later the national delegation withdrew from the contest. The singer was banned from entering the hosting country, Ukraine, but was allowed to perform through various digital and live broadcasted forms. The national delegation decided to withdraw and instead send begin preparing for a new entry next year. This year the Russian delegation sent last year's winner to the Eurovision with a new song "I Won't Break", but surprising to everyone failed to gain enough points. This was the first time since the introduction of semi-finals in 2004, that Russia failed to qualify. Due to the hosting country's decision to not use LED screens as part of the stage design, many countries began to creatively approach their performances. This resulted in various props being used and unseen choreography. 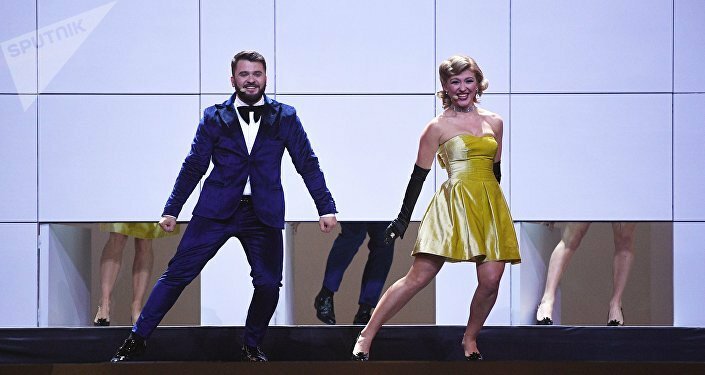 Some countries handled it well, others received a more critical response, but one of the most memorable moments included San Marino's little robots, Moldova's Punch-and-Judy-style modular background wall, Ukraine's staircase in flames, and Slovenia's intentional technical glitch. Blurring LGBT flags from the audience, and modifying transmissions in two performances to hide tattoos and LGBT dancers. In 2014, officially for the first time, the Eurovision Song Contest was brought to the Chinese viewers. The same year an Austrian recording artist and drag queen Conchita Wurst won the contest, speaking out for the LGBT rights, and becoming the most Googled person of the year. This year marked a much more controversial year due to censorship imposed by the Chinese broadcaster Mango TV. During the first semi-final the China's top TV operator, a member of the Hunan Television group, edited the transmission of the semi-final to remove gay elements. Ireland's performance was transmissions were modified in order to hide the two men dancing. A similar tactic was used during the Albanian performance, to hide body tattoos. Finally, the broadcaster also blurred out rainbow flags, symbols of LGBT pride, and other images of performers with tattoos. After various censorship during the broadcasting of the first semi-final, the European Broadcast Union released a statement canceling the contract to screen the grand final of Eurovision Song Contest 2018. According to the EBU, the decision to censor content was taken by Mango TV and wasn't in line with values "of universality and inclusivity and our proud tradition of celebrating diversity through music." In the middle of the UK's entry a man, dressed in a black and red bandana and slogan t-short promoting a book on Amazon, ran on stage and grabbed the microphone from SuRie's hands. The stage invader is known as Dr. ACactivism who has previously interrupted the National Television Awards, and The Voice. SuRie was given an opportunity to repeat her performance which she later declined. The singer recovered quickly and went on performing her song "Storm" with an astonishing support from the crowd. While not a surprise to numerous fans, the early bookies favorite had some fierce from initially unexpected entries from Cyprus and Austria. Up until the final seconds viewers were kept on their toes due to very close voting results. Finally the feminist anthem "Toy" won the overall voting and came first in public vote. His proven talent for aligning strategy and objectives with established digital media development and multimedia design management paradigms has proven to be successful across many industries from art and music to technology. Growth-focused thought leader with expertise spanning creative design administration, social media management, branding and marketing campaigns, portfolio design, and project management. An honorable list of clients includes Janet Gordon Style, EstDocs Documentary Film Festival, Tian Jiang, Almazan Law, InProximity Theatre Company, Marquee Brand Builders, and many others. During his work at Sacatelle LLC, he worked on design projects for clients including Kenneth Cole, Steve Madden, and Coffee Bean & Tea Leaf. A dedicated professional with keen admiration for aesthetics and digital solutions is looking forward to build a mutually beneficial professional relationship.